First-born son of a warrior father who defeated the French at Agincourt, Henry VI of the House Lancaster inherited the crown not only of England but also of France, at a time when Plantagenet dominance over the Valois dynasty was at its glorious height. And yet, by the time he was done to death in the Tower of London in 1471, France was lost, his throne had been seized by his rival, Edward IV of the House of York, and his kingdom had descended into the violent chaos of the Wars of the Roses. Henry VI is perhaps the most troubled of English monarchs, a pious, gentle, well-intentioned man who was plagued by bouts of mental illness. In Shadow King, Lauren Johnson tells his remarkable and sometimes shocking story in a fast-paced and colourful narrative that captures both the poignancy of Henry's life and the tumultuous and bloody nature of the times in which he lived. PRAISE FOR LAUREN JOHNSON: 'This is a gripping and important work from a very talented new writer' Dan Jones, on So Great a Prince. 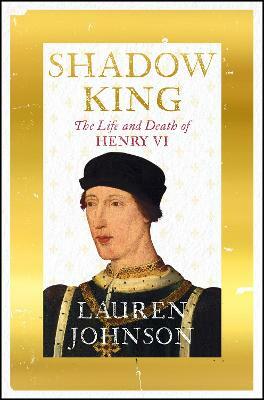 'The political narrative is crisp ... An assured an eye-opening introduction to the England of 1409' TLS. 'Johnson is a fine historian. She will be at the forefront of British historical writing for a long time to come' Mathew Lyons.